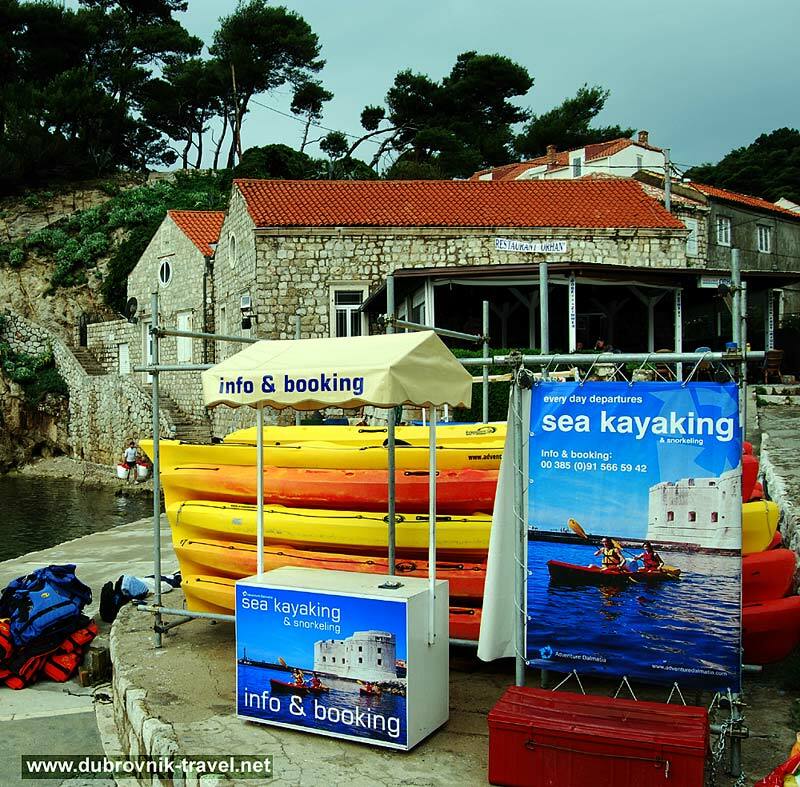 Sea Kayaking in Dubrovnik is a fantastic way to spend a day in the town – combination of sightseeing and kayaking around the Old Town. Starting from Pile, in near vicinity of Lovrjenac Fort , you will paddle along the walls of the Old Town, passing near Buza, Sveti Ivan tower, Porporela, Old Harbour, crossing the small bay and paddling further all the way to Lokrum island. At Lokrum, you can visit its Benedictine monastery or simply snorkel around the blue, warm waters, check Betina Cave and its pebble beach. Take a break there for a lunch or refreshment and paddle back across the bay towards the walls of the Old Town.